Confirm the installation request by clicking "Next". Select a folder for the shortcuts. Select the additional tasks for Adlesse. 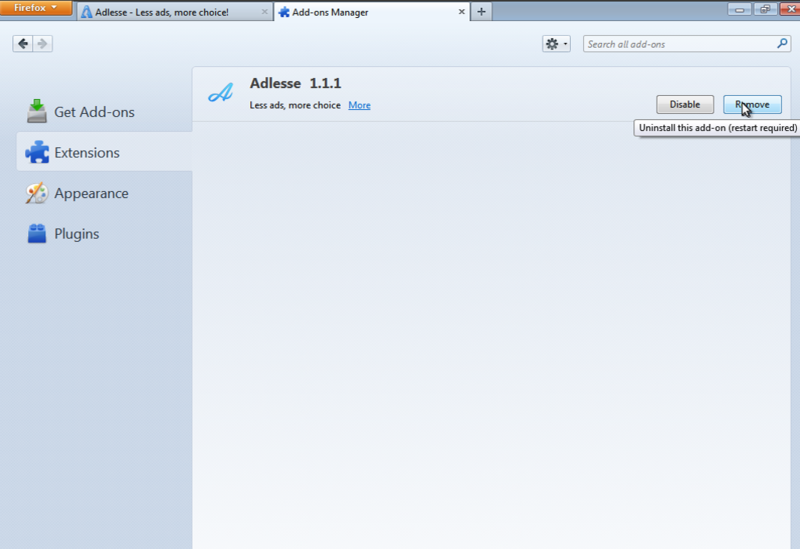 Install the Adlesse add-on by clicking "Install". Restart Internet Explorer. 1 You can adjust Adlesse according to your preferences. Customization can be accessed through Settings in the main menu. 2 Verify your language and location. Adlesse will provide you with news titles, weather forecasts, etc. according to/appropriate for the data you entered. 3 You can also specify your personal settings. Furthermore you can choose frequency of appearance of the different information — Often, Sometimes, Rarely or Never. 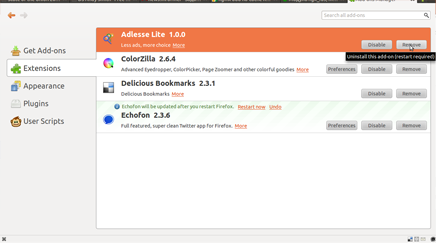 You can find Adlesse in the list of add-ons in your browser's menu. Note that you can easily Activate/Deactivate (or even Uninstall) Adlesse from this menu at any moment. Need help in finding out how to disable/remove add-on in another browser? Simply click the appropriate icon.